Being able to diagnose and repair appliances is not easy; it requires training and experience to do the job properly. Appliance Masters has the expertise to quickly and professionally handle your appliance repair and installation needs in Guntersville, AL. We work seven days a week, and our repair service is on call twenty-four hours a day, so we are always available for you when you need help with your microwave, refrigerator compressor, washer, dryer, garbage compactor or any other type of appliance. Our service charge is the same, day or night. We service all major brands, including Maytag, FrigidAire, InSinkErator, Kenmore, KitchenAid, Whirlpool and many others. 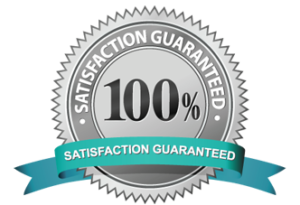 Whether you need a sealed system repaired or a new oven installed, we will do the job right, and all of our work has a full parts and labor guarantee. Appliance Masters has built a business around providing quality work and guaranteed customer satisfaction. Putting the needs of our customers first has earned us many loyal customers, and we want you to become a loyal customer, too. Call us and see why we are the first and best choice in Guntersville, AL for appliance repair and installation. We understand that when your refrigerator or washing machine stops working you want it to be repaired quickly, so that you can get back to your normal routine without the inconvenience of washing clothes and dishes by hand or not being able to keep your food cold. 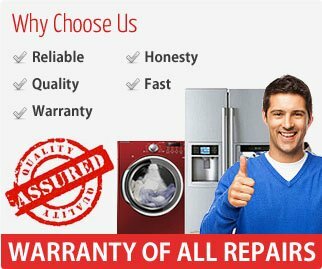 We will come quickly and find the best option for repairing your appliance, providing the best value along with our professional customer service and work. 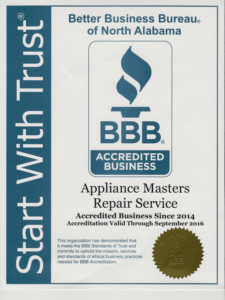 Finding a business that you can trust can be difficult, but if you call Appliance Masters for your appliance repair and installation needs, you will find a company that will earn your trust and provide you with quality work, guaranteed.